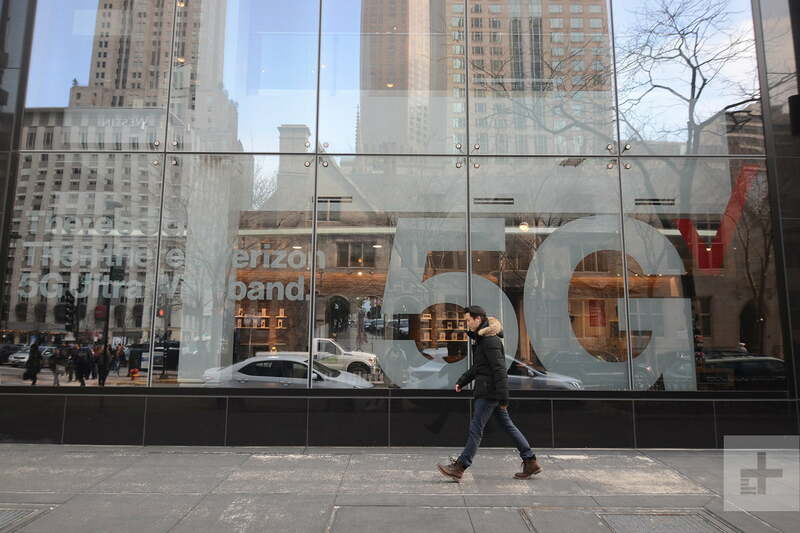 Verizon has been in a cutthroat competition with AT&T to be the first carrier to offer 5G, and it has now claimed that title. The telecom giant has finally started launching 5G in certain cities — meaning that with the right device and in the right location, you can finally enjoy 5G. But wait, what is 5G, anyway? The fifth generation of wireless networks, or 5G, has been nearly a decade in the making, and it’s finally becoming a reality. Promising dramatically faster speeds, instantaneous communication, and the ability to network everything, 5G has incredible potential. A limited rollout of the service began in select cities in 2018, and mobile 5G has started appearing in cities around the U.S., with much more comprehensive rollouts expected in 2020. For its part, Verizon rolled out a limited version of 5G for homes in 2018 and plans to broaden that and launch a nationwide mobile network this year. Here’s everything you need to know about Verizon’s massive 5G rollout. Well, folks, it’s official: Verizon made it first. The company has finally flipped the switch, turning on 5G in both Chicago and Minneapolis a week ahead of schedule. In other words, if you live in a supported area and happen to have a Moto Z3 and 5G Moto Mod, you can now finally enjoy 5G. Chicago and Minneapolis aren’t the only cities to get Verizon’s 5G this year. Verizon announced that it will release its 5G Ultra Wideband network, which is based on the 3GPP 5G NR standard, in as many as 30 cities in 2019. Verizon also confirmed some details about pricing, noting that customers who want 5G will need to pay an additional $10 on top of their currently Unlimited data plan. Verizon wants its 5G to offer impeccable speeds with low latency. To meet those demands, Verizon will initially deploy its 5G network on millimeter wave spectrum (mmWave). And while mmWave will undoubtedly offer the fastest 5G experience, it has its flaws. One of the notable challenges with the implementation of new “small cell” towers is the fact that they require local government approval — essentially meaning that carriers need approval in every city they want to install these new towers. To attempt to speed that up, Verizon is encouraging customers to lobby their elected officials. The new “Let’s 5G” website is aimed at both informing people about 5G and what it could offer, and informing users on how they can speed up the process of 5G deployment. Verizon will initially roll out its 5G service on 28 GHz spectrum. One of the challenges with using the high-band spectrum is that it does not easily cover a large area, and penetration is a serious challenge. Over the next several years, Verizon will build out its 5G network around the country using small cells, and will eventually deploy service on a mid- and low-band spectrum. In a real-world demonstration of the network at CES 2019, CEO Hans Vestburg showed speeds of 900 Mbps, as well as a crystal-clear video conference with the first fixed-wireless customer in Texas. For the next several years Verizon’s 5G service will piggyback off its massive 5G network. Expect to see 5G service in larger cities and busy places like airports and stadiums, but you will be unlikely to see the service in the suburbs and rural areas for years to come. When it comes to mobile hardware, there’s not a lot to report. Right now, Verizon has confirmed only a handful of mobile devices with 5G modems. The carrier announced the Moto Z3 with a 5G compatible Moto Mod last summer; at CES 2019 in January, CEO Hans Vestburg confirmed that it will be the company’s first 5G smartphone. That Moto Mod is now available straight from Verizon — meaning that if you have 5G service in your area, you can connect to it on your Moto Z3 with the Mod. In December, Verizon announced two new pieces of hardware. The first is an upcoming Samsung-branded 5G smartphone. More details will be announced in the coming months, and the handset will be released in the first part of 2019. Verizon also closed out the year with a 5G mobile hotspot announcement. The carrier tapped Inseego to create the MiFi 5G hotspot, announcing the device during the Qualcomm Snapdragon Technology Summit in Maui. The hotspot will be released at some point in 2019. Verizon will likely be the first carrier to roll out fixed 5G. In October, the carrier rolled out pre-standard fixed 5G — a service it calls Verizon 5G Home — in parts of Houston, Indianapolis, Los Angeles, and Sacramento. The service is available for $50 for current Verizon subscribers and $70 for those who want standalone service. Verizon says there are no data caps with the service, which will require will a technician to install the equipment (in contrast, T-Mobile claims its customers will be able to install its fixed wireless service without help). Expect to see the pre-standard 5G replaced with 5G NR in the coming months as the city updates its hardware and software. Verizon plans to deploy fixed 5G to additional locations across the country in 2019, though it has not named cities just yet. Since Verizon already has fixed 5G service in four cities, it makes sense it would have the hardware. The carrier partnered with Inseego to release its first 5G home router. According to Verizon, the Inseego R1000 Router with 4×4 MIMO boasts greater data throughput and supports mesh nodes for expanded coverage. Updated on April 4, 2019: Verizon has launched 5G in Chicago and Minneapolis.